L'Oreal's Elseve Re-Nutrition gave me the most lifeless, lacklustre hair I've ever had. Considering I just got my hair straightened, lustre shouldn't be hard to achieve with any shampoo and conditioner, don't you think? Imagine this: You oil your hair before shampooing, then shampoo it. But you feel that there's still a bit of oil left on your hair. Yes, that's how my hair felt after using these. Imagine this too: Using body lotion as a conditioner (not that you can't use body lotion in emergencies). The Conditioner does feel like a body lotion. Ugh! My scalp got greasy after only 1 day too. So, I had to change after using them only twice. Sunsilk Silky Smooth & Manageable Shampoo and Conditioner to the rescue. Absolutely love 'em! I could touch my hair all day! I know I should not tell people to buy or not to buy stuff and rely on their own opinions, but I can't help it this time. Please don't waste your money on L'oreal's Royal Jelly (that's what the Re-Nutrition range is made of), unless of course you oil your hair everyday to tame the frizz. I love your hair!! they look fabulous. I have found L'oreal shampoos and conditioners to be har destroying. (IMO and some of my friends'. I'll sure try your pick after I finish Pantene. 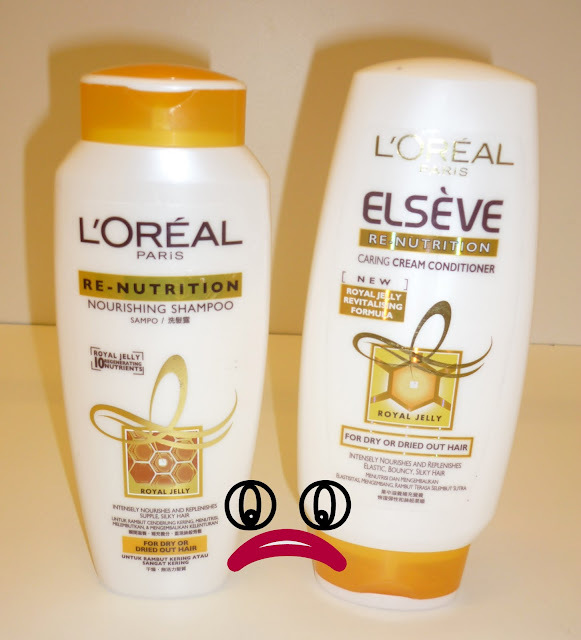 I think it depend on the type of hair...not long ago i bought L'Oreal's Elseve Re-Nutrition and it really helped me! 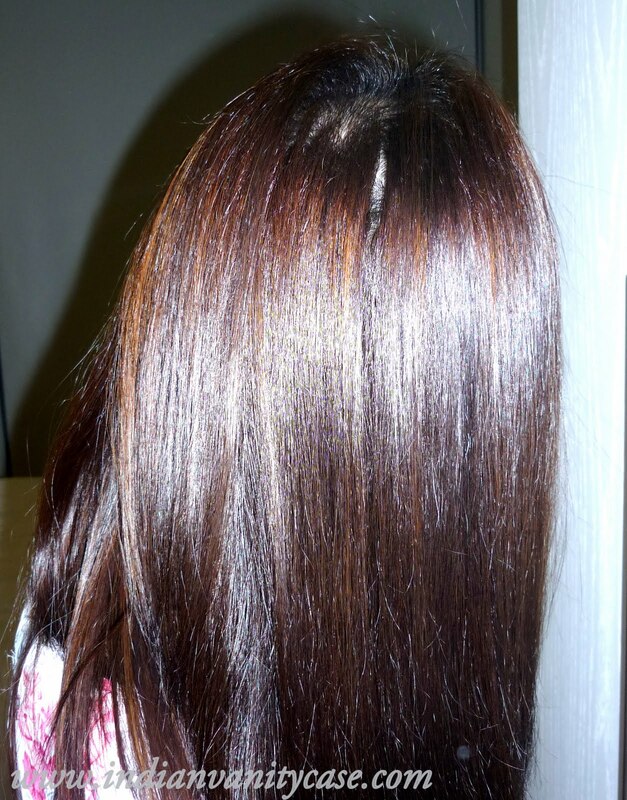 My hair was completely dried... and now it looks like silk!